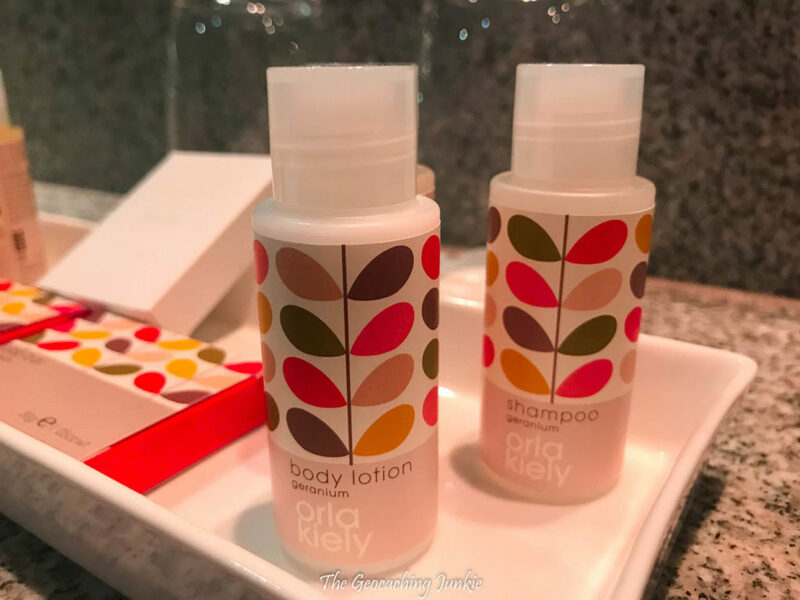 For our annual mother-daughter weekend away, TheM0ther and I decided to stay a little closer to home this year and incorporate a weekend in Kilkenny with a stop-off at the New Year’s Resolution event in Tipperary. 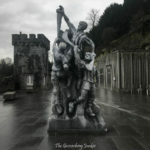 I have only visited Kilkenny once before over 10 years ago (pre-geocaching!) and I definitely didn’t explore enough of the medieval city. 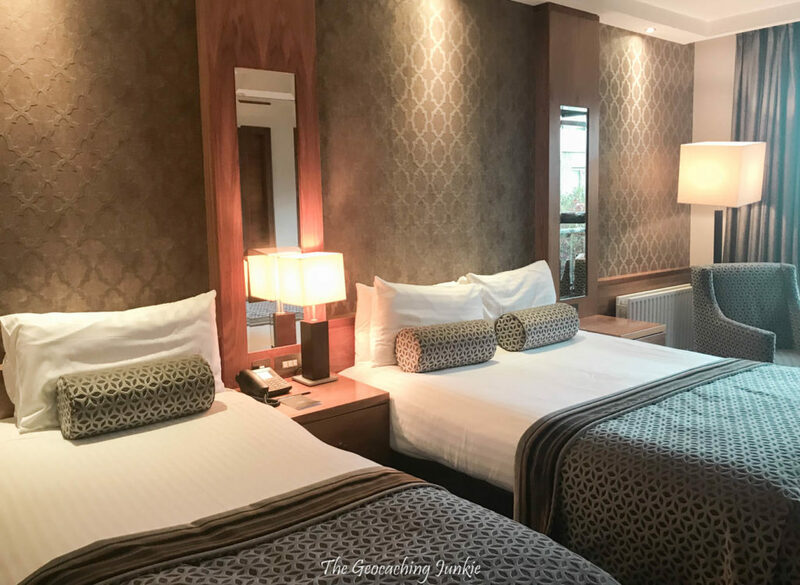 I booked a room at the 4 star Newpark Hotel on the outskirts of the city (about a 20 minute walk in to the centre). The hotel was absolutely packed, which was surprising for January but testament to how good it is. Our room was fabulous, with a gorgeous waterfall shower in the bathroom. There was a slight problem with the room which meant we had to move but it was done so smoothly, I was impressed. We were even left a complimentary bottle of wine and chocolates as an apology for the inconvenience. On Sunday morning, after a generous breakfast in the hotel, we were fuelled up and ready for a day of sightseeing and geocaching! 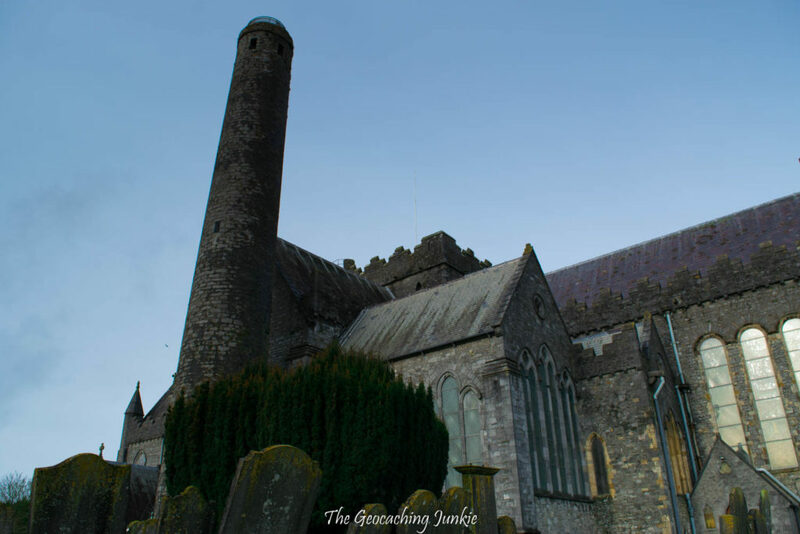 Our first stop in the city was St. Canice’s Cathedral and Round Tower. The round tower is open to those who want to climb to the top for certain hours each day (hours vary depending on the season, full details are available here). Unfortunately, we weren’t there at the right time so it was closed. 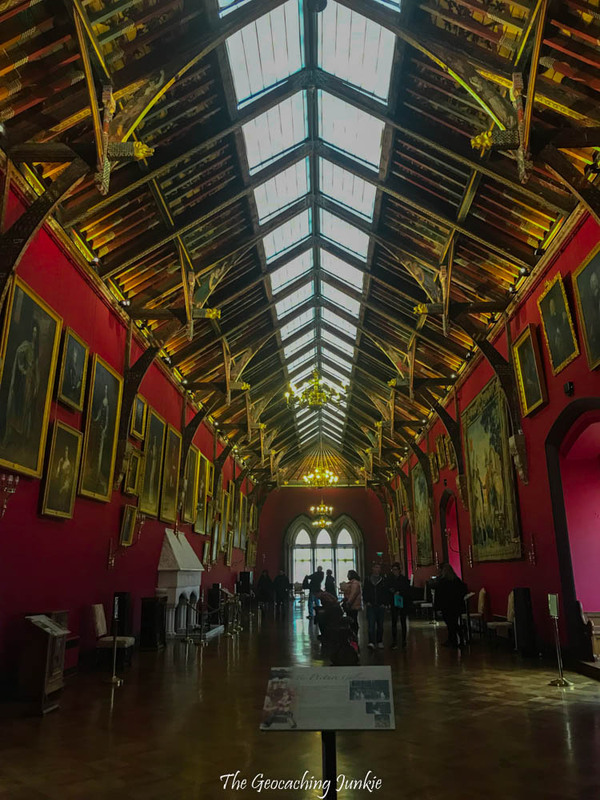 The beautiful Gothic building is nevertheless worth a visit. Worshippers have been visiting this site for an impressive 800 years! 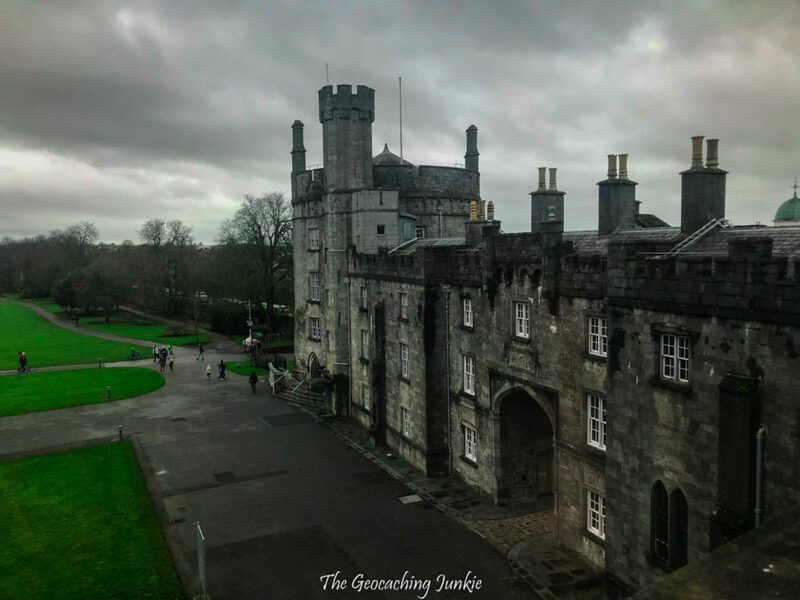 The much anticipated highlight of our trip was a visit to Kilkenny Castle. We arrived just as a guided tour was starting and missed the first few minutes, so were offered to either wait an hour for the next tour or join the current tour at the student price. Since the tour was still in the first room, and we didn’t feel like waiting (lunch was calling in the not too distant future! ), we opted for the cheaper option (€4 each, half the standard adult price!). The tour is led by an actual guide, which is always my preferred way of hearing the history of a site! There has been a castle on this site since the late 12th century, when Richard de Clare, more commonly known as ‘Strongbow’, built what was probably a wooden motte and bailey structure here. In 1213, the first stone structure was built on the site by Strongbow’s son-in-law, the third Earl of Pembroke. It had four round towers, three of which still remain to this day. 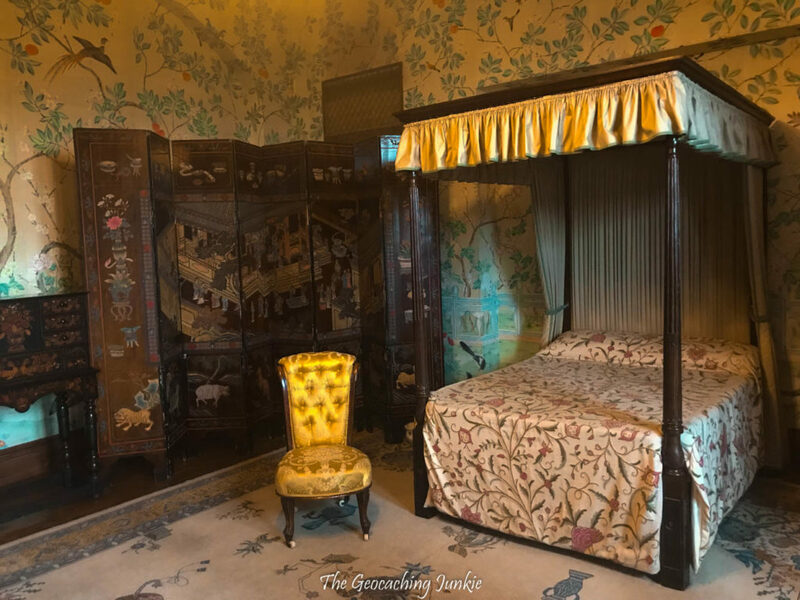 The tour leads you through various intricately restored rooms, including the stunning tapestry room and the Chinese bedroom, before culminating in the impressive picture gallery. The castle tour is well worth doing, with the fascinating history brought to life by the guide. 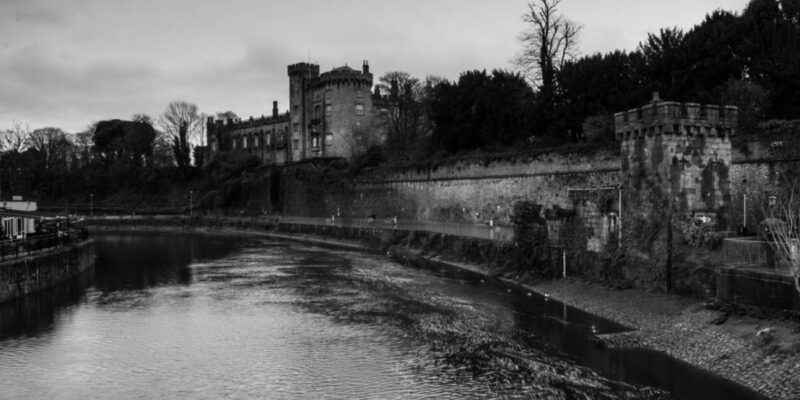 The castle gardens are open to the public during daylight hours and are free to explore. 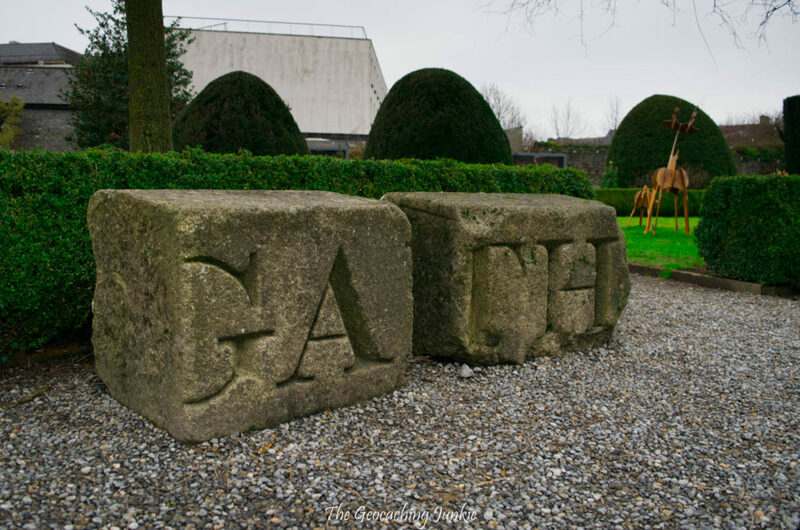 No trip to Kilkenny would be complete without a visit to the Design Centre, where the best of Irish craft and design is showcased. Situated directly opposite the castle entrance, the centre is the perfect place to pick up a uniquely Irish gift. 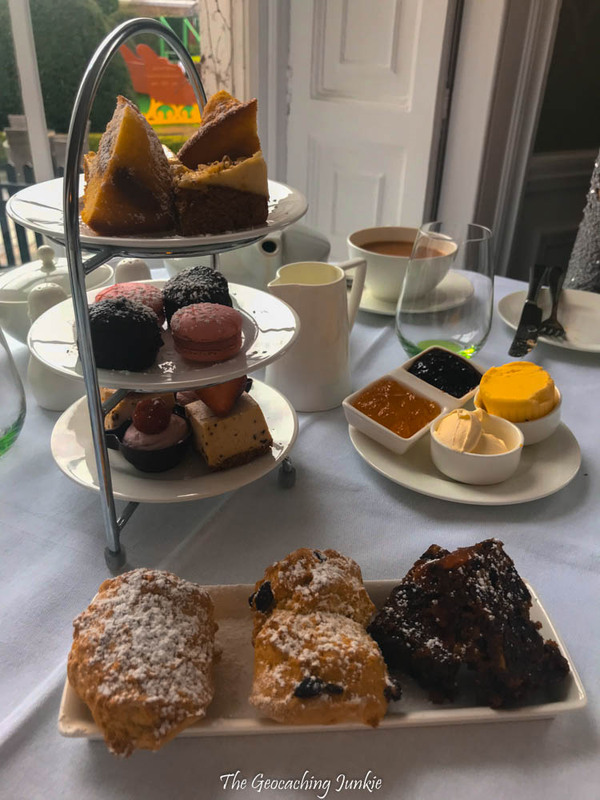 After the tour of a grand castle, we were in the mood for a fancy lunch so we decided to stop at Butler House for high tea. The Georgian building is a ‘Dower house‘, “a moderately large house available for use by the widow of the estate-owner.” The dining room was quiet and we managed to nab a table at the window, where we were looking out at an abundance of wooden reindeer and a sleigh: the remains of the Christmas garden. The afternoon tea was delicious; the freshly baked scones in particular were delectable! After we filled our tummies, we had a walk in the garden to complete the multi-cache Nelson’s Letters. Unfortunately, we didn’t have time to go to the final of the cache, but I was happy that the listing had brought us here. The huge granite blocks carved with letters once formed part of the plinth of Nelson’s Pillar in Dublin. The column and statue were blown up in March 1966 and while most of the rubble was brought to the dump, the granite blocks were brought to Butler House. 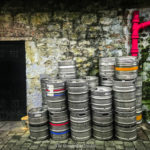 Aside from being a popular destination for stag and hen parties, and with a plethora of pubs to entertain, Kilkenny has so much to offer visitors with an interest in history and architecture. The city has a friendly, laid-back vibe and I am already looking forward to my next visit! Nice one Sarah – you must have been following in our footsteps from the previous Friday – Love Kilkenny.